New Delhi November, 2016: Wacom, a global leader in natural interface technologies has unveiled Intuos 3D, the first-ever complete and affordable 3D solution that provides all the necessary tools to create print-ready three-dimensional designs on a PC or Mac computer. By introducing an accessible 3D design and modeling product, Wacom is leading the way in popularizing the creation of cool and imaginative 3D art and design for a wide demographic. Wacom’s Intuos 3D comes to the market at an ideal time as interest in three-dimensional design and printing is growing rapidly. “While 3D design and DIY printing has become extremely popular, Wacom determined an existing opportunity to improve the front-end of the creative design process and deliver a complete solution designed specifically for 3D enthusiasts, particularly those just getting started,”says Jeff Mandell, Executive Vice President of Wacom’s Branded Business. The Intuos 3D’s natural and intuitive pen works seamlessly with Pixologic’s powerful ZbrushCore software, built from the same Zbrush foundation that top professional film and game studios have been using for their 3D creations for years. The battery-free, cordless and pressure-sensitive Intuos pen combines with ZbrushCore to emulate the same feel and feedback one gets when working with traditional brushes, markers or ceramic tools. Users seeking on-demand 3D prints can send their completed models to the online service Shapeways for printing. For those seeking to publish their work, Sketchfab’s web-based platform and community are accessible to Intuos 3D owners. The Intuos 3D solution is easy to set-up and includes state-of-the-art video tutorials to help customers start creating immediately after the purchase. Priced at INR 17,975, Intuos 3D ships in an elegantly designed retail package, incorporating the Intuos 3D tablet, pen, downloadable Pixologic Z BrushCore software as well as special offers from Shapeways and Sketchfab. The product will be distributed globally to leading retailers and online resellers, including Amazon and the Wacom eStore and is available for sale. 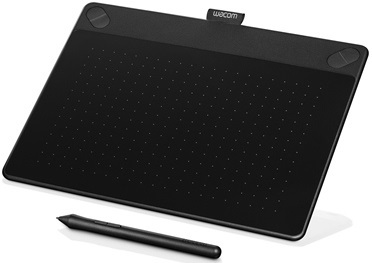 The demo units would be available at all demo centers of Wacom India.